Sporting Schools is a $100 million Australian Government initiative designed to help schools to increase children’s participation in sport, and to connect children with community sport. Volleyball Tasmania is excited to grow children’s lifelong love of sport, and in an effort to do so we have partnered with the Australian Sports Commission (ASC) to get kids active, engaged, and having fun through the Sporting Schools program. This program focuses on increasing sports participation before, during, and after school hours, and is set to become the nation’s biggest participation-based program ever! We are excited to be a part of this sporting journey and to be working closely with Australia’s primary schools, teachers, coaches and parents to nurture the next generation’s commitment and love of volleyball now, and into the future. Please contact us for more info or to arrange a session. Sporting Schools has developed an online platform for schools to make booking requests for their Sporting Schools program. Schools use the system to search for sports packages that meet their school’s needs. Visit the Booking System Partner Portal and Login with your registered email address and password to get more information on booking a coach or teacher delivered program. Schools can purchase their own equipment from Volleyball Tasmania (given enough notice) or from a commercial Spikezone supplier. 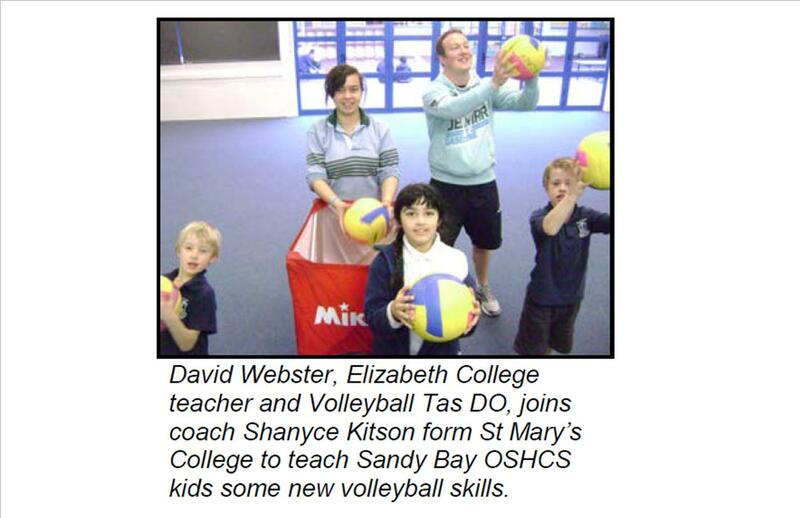 The program is designed for children to learn volleyball in a fun, game orientated learning. Volleyball Tasmania also co-ordinates with the Southern Primary Schools Sports Association Winter Carnival with over 30 teams competing each year. This is followed by local indoor and grass Spikezone programs.